Thank you for visiting our website, your connection to Lake Eufaula homes and real estate market. United by a shared passion for positively impacting the lives of others, Connie Campbell and Diana Due opened Campbell Due Real Estate and have been connecting community residents to their home buying and selling dreams ever since. Their secret? Unparalleled knowledge, experience and an unwavering commitment to customer service. Two people who take every opportunity to soak up life on the lake. Connie and Diana understand the more subtle aspects to this unique market. They share these insights with clients to ensure they make the most of their important investment. But at the heart of this team's success is their genuine concern for their clients' best interest today and for the long-term. Indeed it's the reason many of their satisfied buyers and sellers end up becoming good friends. 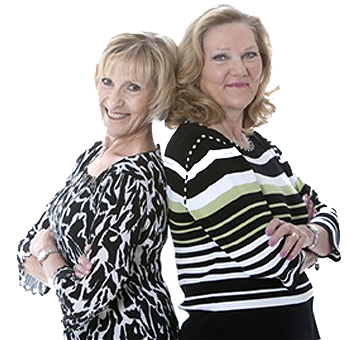 Put simply, Connie and Diana treat your real estate goals the same way they would the goals of their own children or grandchildren - with tireless research on your behalf and total commitment every step of the way. What more could you ask for? So if you're planning to make a move on Lake Eufaula, List It, Sell It, Campbell Due It and call Connie and Diana today. This seasoned real estate team will go the extra mile to ensure your ultimate success. Contact Connie & Diana now for help with all your real estate needs. Thank you for visiting our website, your connection to Lake Eufaula homes and real estate market. United by a shared passion for positively impacting the lives of others, Connie Campbell and Diana Due opened Campbell Due Real Estate in 2008. Campbell Due Real Estate has been connecting community residents to their home buying and selling dreams ever since. Their secret? Unparalleled knowledge, experience and an unwavering commitment to customer service. The Campbell Due Team takes every opportunity to soak up life on the lake. Our team understands the more subtle aspects to this unique market. They share these insights with clients to ensure they make the most of their important investment. But at the heart of this team's success is their genuine concern for their clients' best interest today and for the long-term. Indeed it's the reason many of their satisfied buyers and sellers end up becoming good friends. Put simply, the Campbell Due Team treat your real estate goals the same way they would the goals of their own children or grandchildren - with tireless research on your behalf and total commitment every step of the way. What more could you ask for? So if you're planning to make a move on Lake Eufaula, List It, Sell It, Campbell Due It and call Campbell Due Real Estate today. This seasoned real estate team will go the extra mile to ensure your ultimate success. Contact our team today for help with all your estate needs. Please feel free to contact us for any of your real estate needs. Simply fill out the form below and we'll return your message as soon as possible.